Adjust mic, taps, and adjusts again “Clean up on aisle giveth life, clean up on aisle giveth life” Excuse me while I pick my life ALL the way up with this FENTY line that dropped. I know I am blogging about this late, but I had to really gather myself from the anvil that was dropped on me by Rhianna (I just love it when we are winning). Can I just reel it in that she dropped, not 5, not 10, but 40… 40 shades!!! You cannot get anymore inclusive than that! However, allow me to get a little serious and deep for a second, because our dollars seem to not be respected until a power ball is dropped on an industry, and this is exactly what happened in the ‘beauty’ industry. Many of us that dibble and dabble in all forms of makeup, know all too well that it is very difficult to find products that caters to us AND are a bit easy on the pockets. I, for one, do not have any shame in my game when it comes to even drug store hauls like black opal and black radiance over the Nars, Too Faced, etc of the major retailers in Sephora, Ulta, etc. I also realize that many of these companies fail to remember that plenty of the melanated people come in an array of shades, and some forget us all together. FOR EXAMPLE, the Kardashian family [insert petty smile here] [insert warning of vulgarity here] do not mind fetish-ing about the black body, appropriation of our culture, and let’s be honest engulfing our men somehow (sorcery) and TRY to have us buy their product. 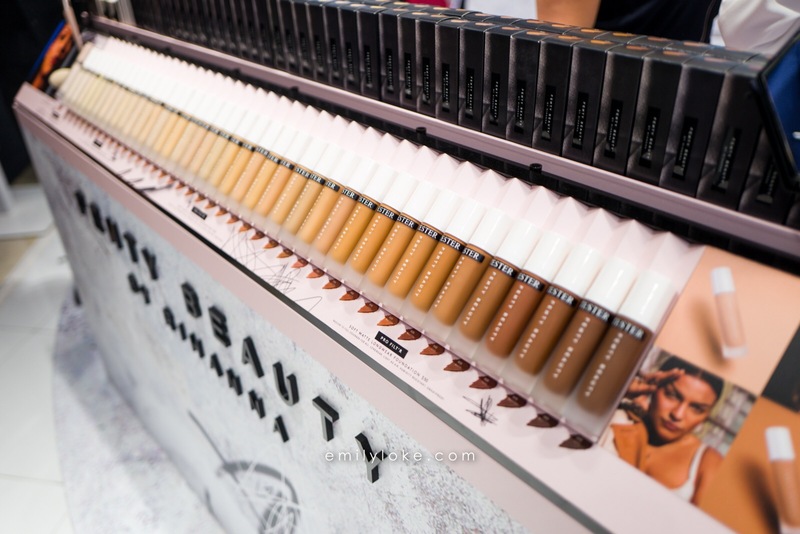 Kim failed MISERABLY at launching her contour palettes (or whatever) for us melanated kinfolk, but failed to achieve ANY sort of inclusivity… like, at all [and I laughed at her failure, yes I sure did]! Actually MANY companies along the likes of the Kardashian make up industry fail to include us, but yet want to capitalize on our dollars, and some do fall for it… BUT NOT ME CHILD any way. I see that BS from across the Atlantic and into the motherland. As SOON as FENTY drops and sells out almost instantly… I am seeing ALL kinds of ads for inclusivity… hmmmmmm really now? SO all of a sudden, we are remembered? We pull our coins out and now you have a mocha chocolate foundation to enhance this honey skin? That is to show how support and our money are important. We were not considered in the beginning of a race, but when they see us making moves and support, now eyes have opened after falling off the turnip truck. We need more FENTYs, we need more wins, that was a major win that warmed my heart. The support, the love, and it needs to trickle into all of our businesses. We are often forgotten because we are not sought after, or we are sold coal. The more we start our own and support our own, the more we can be heard.